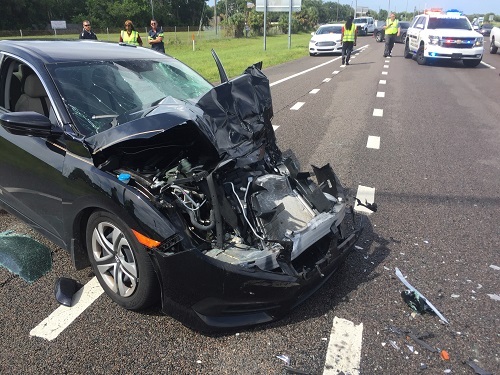 Westbound Gandy Boulevard was down to two travel lanes for about two hours after the crash, the Pinellas Park Police Department said. 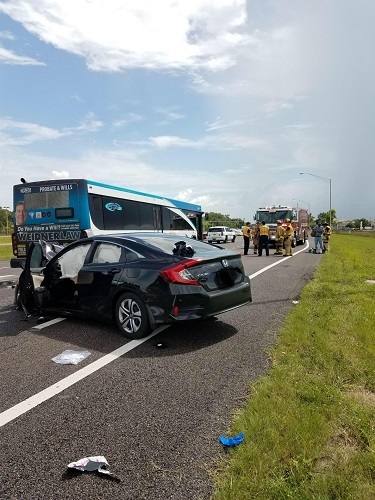 PINELLAS PARK – A Pinellas Park man was critically injured Friday (July 13) after his car crashed into the back of a PSTA bus on Gandy Boulevard, according to the Pinellas Park Police Department. Brian Hannum, 31, of Pinellas Park, was taken to a local hospital as a trauma alert with life-threatening injuries. Police said he was in critical condition late Friday. Yolanda Gibson, 54, of St. Petersburg, was also taken to a hospital after complaining of an injury. Two passengers on the bus were not injured. 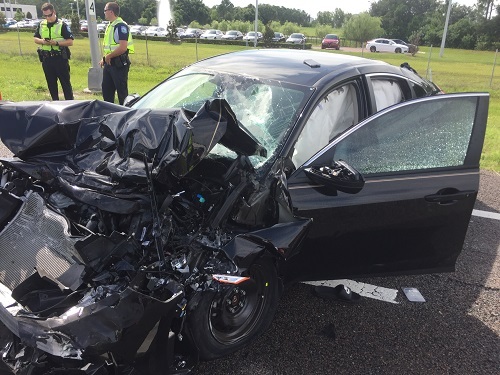 The crash happened about 3:35 p.m. on westbound Gandy Boulevard approaching Grand Avenue. Hannum was driving a 2017 Honda Civic west in the curb lane on Gandy approaching Grand. 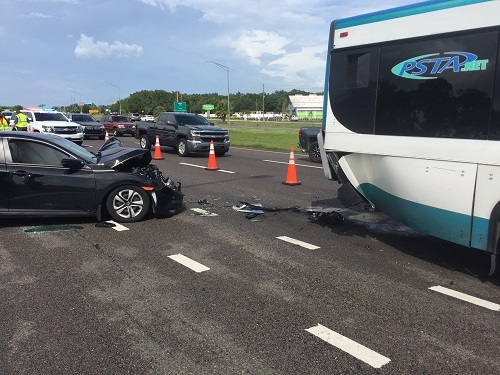 He was directly behind a bus belonging to the Pinellas Suncoast Transit Authority that was slowing for traffic. 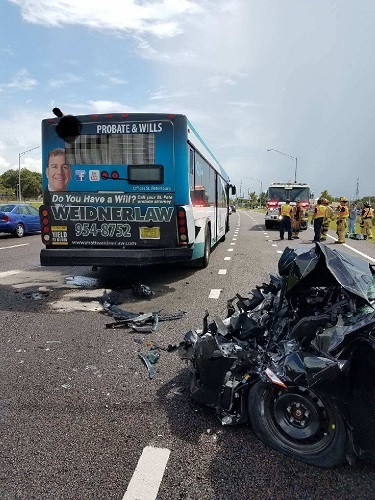 Police said that, as the bus slowed, the Honda was moving into the right turn lane but failed to get there in time and hit the right rear of the bus. The crash closed all but two lanes of westbound Gandy for about two hours.